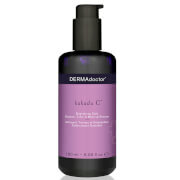 Ceramic Slip is a foaming, clay-based, gel cleanser for normal to oily skin that creates flawless and miniscule pores. This cleanser purifies the skin, tightens pores, and stimulates collagen and circulation with natural essential oils to tone and balance the skin. This product is a must-have in the pursuit of ceramic-smooth skin! 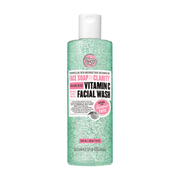 Helps to purify skin as it tightens pores. Contains natural essential oils to tone and balance the skin. Black Pepper helps to stimulate circulation. Sandalwood is anti-microbial and helps to calm inflammation. Apply Ceramic Slip liberally to the face and massage into the skin. Rinse with warm water and pat dry. Can be used morning and night. Gently shake before each use. Ceramic Slip can also be mixed with Good Genes and used as a mask. Apply to the face for 10-30 minutes for an instant radiance boost. Refined French Green Clay, Vitamin C Ester, Black Pepper, Sandalwood, Jasmine, Frankincense, Water, Cocamidopropyl Betaine, Sodium Cocopolyglucoside Tartrate, Sodium Cocopolyglucoside Citrate, Phenoxyethanol, Neroli Oil, Xanthan Gum, Tetrasodium EDTA. 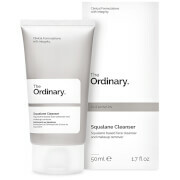 I really like this cleanser. My old "go to" was Tracie Martyn amla cleaner. I am a fan but just can justify the price. This one works really well, removes without drying and takes only a little. Not a fan of the preservatives though.